"University of Maryland midfielder Will Dalton (no.31) eludes a Towson midfielder during the fourth quarter at Ludwig Field in College Park, Md., March 8. 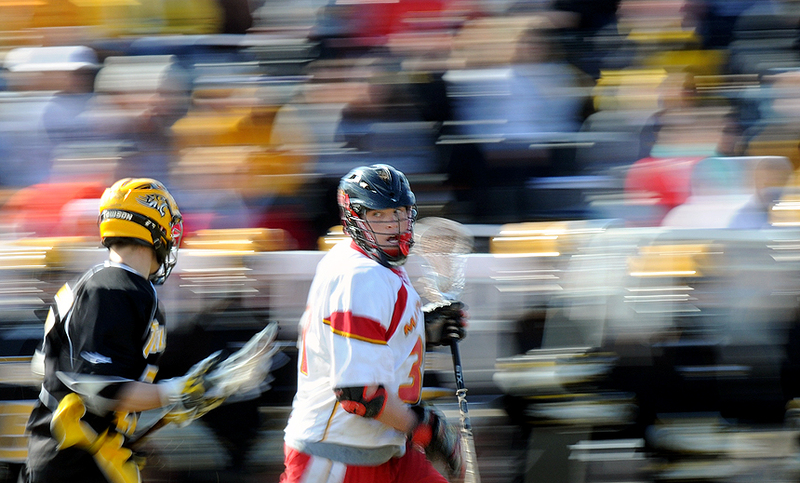 Maryland defeated Towson, 12-7." Rain and wind creeped into Maryland Thursday night into Friday leaving me wondering if the weather would continue to drench the region on Saturday. Although a little bit of me wanted it to continue to rain on Saturday for the Towson vs. Maryland lacrosse game, I also didn't want to drive an hour to College Park only to have the game get canceled. When I woke up Saturday morning, I peered out of my window to see the miserable weather. It was literally raining sideways. I grabbed my rain pants, coat and one piece of equipment I've been waiting to test out: my new Think Tank Hydrophobia rain cover. 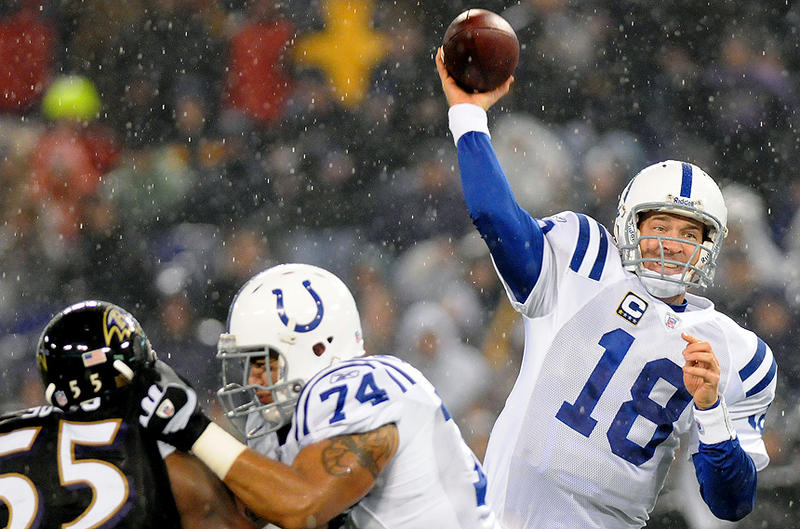 It doesn't rain often at sporting events, but when it does, it normally dumps for 10 minutes than stops, then starts again, such as when the Colts stampeded over the Ravens last year. Saturday it rained all the way to the University of Maryland College Park. As I pulled into my parking spot, the rain stopped, the sun poked out of the clouds and the temperature warmed up to the about 65 degrees. However, by the third quarter the sun vanished and the gusting winds, heavy rain drenched everyone, including DC Sports Box and The Diamondback shooter Yuchen Nie. Yuchen didn't have any rain protection, not even a coat, but he did make a nice image on DC Sports Box of the game. The rain lasted about 10 minutes and by the start of the fourth quarter, the weather had broke wide open. The sun was glistening beautifully, the dark, cloudy sky now radiated a bright blue and the cold rain subsided and was replaced with a warm, dry air. Although the changing weather and light made the game tough to work with at times, I got what I wanted, a nice test for my rain cover. Thoughts? Perfect. Aquatech products used to protect my cameras and lenses during inclement weather matches, however, since the announcement of the Hydrophobia's release, I knew I wanted one. My Aquatech was such a pain to pull on and off when the the rain seesawed on and off. Now, I wouldn't completely pull it off, but once I rolled it off my camera onto my lens, I couldn't see anything because of the bulk. Not to mention the one arm hole in the back of the cover was a disappointment. The thing that sold me on the Think Tank cover was it is the "first rain cover designed to be pre-mounted for quick deployment." When it started to rain, I deployed the cover, which conveniently mounts on the lens hood, in less than 30 seconds. The eye piece pocket on the cover allowed me to switch to the rain eye cap effortlessly. Once on, not only did not camera and lens stay dry, but so did both of my hands. As the rain stopped, I again was able to conveniently and quickly dismount the cover back into the pre-mounted position. Unlike the Aquatech, I was able to do it with ease and then tuck it nicely into the flap on the lens hood. Now, I know it might sound confusing on what I am talking about, so go check it out yourself. But I loved it, and I am actually looking forward to more rain this lacrosse season.